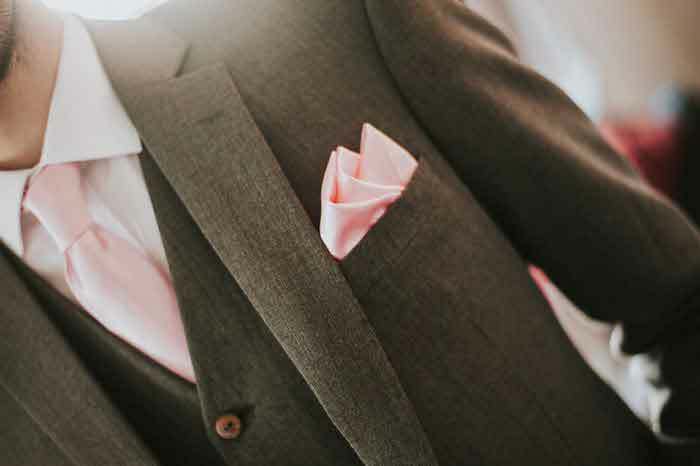 Firstly, grooms should decide whether they want to wear a lounge suit or morning suit. A morning suit is a more formal choice, featuring a longer jacket, usually a waistcoat and matching or contrasting trousers. A lounge suit offers a more informal ensemble, comprising a shorter suit jacket, tie and matching trousers. 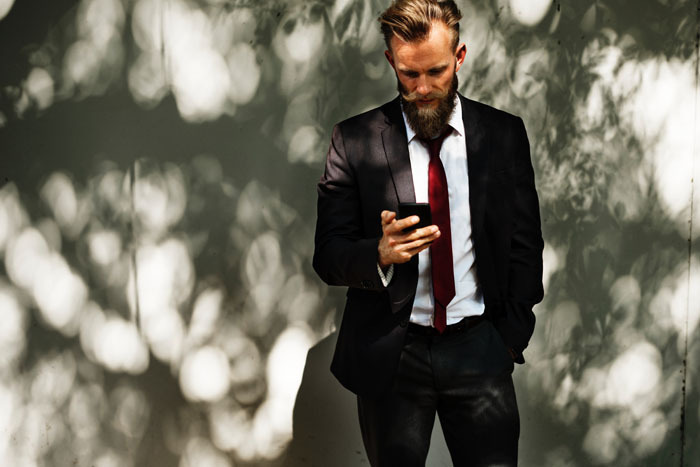 Suits can vary greatly in fit, material and colour. 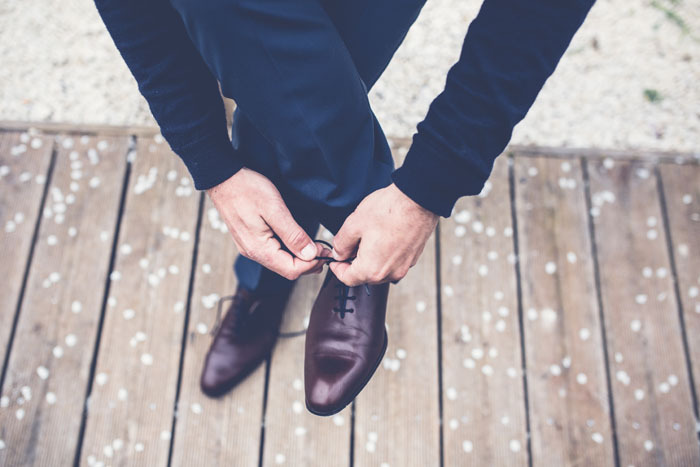 By visiting a suit shop or tailor, grooms will gain a better idea of the options out there. 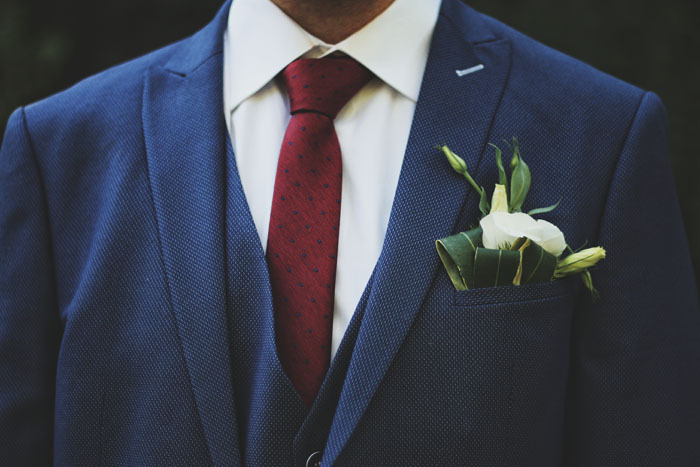 Just like the bride in her dress, grooms should feel comfortable in their suit – it should offer a reflection of their personality, character and sense of style. A plain shirt offers the perfect canvas on which to overlay colour; similarly a glimpse of a patterned shirt will add interest to a neutral coloured suit. The fit of the shirt should be practical and suited to your personal style, sitting closely and comfortably to the skin. 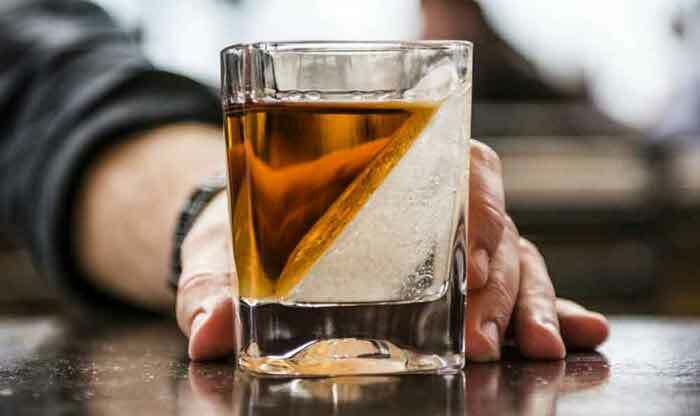 The material should be lightweight and breathable; remember, you could be wearing up to three layers – until you hit the dancefloor, of course. Here are 10 dapper and distinguished accessories that will allow your signature style to shine through. No suit is complete without something that adorns the neck. 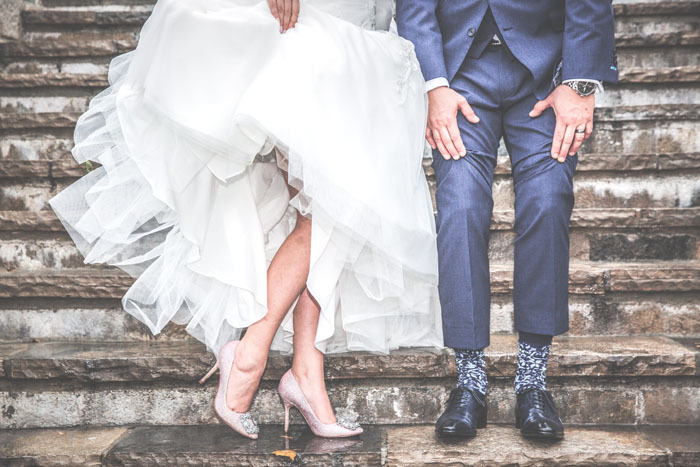 Be as creative as you want with colours, patterns or prints – with prior consent from the bride, of course – and think about the wedding colour scheme when making your choice. Whether matched or mis-matched with complementing flair, your neckwear has the ability to make or break the overall look. 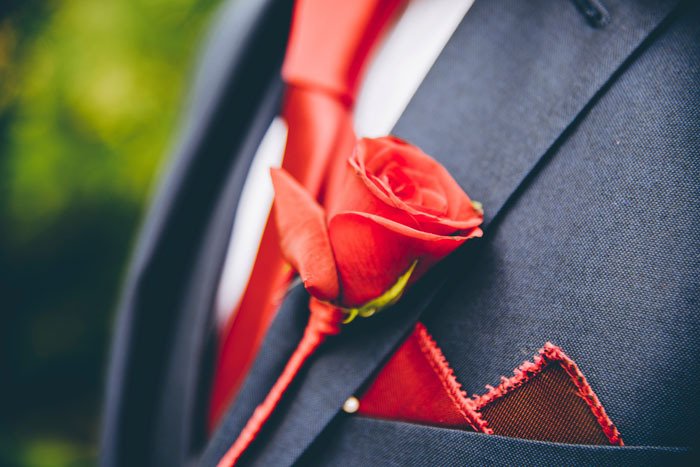 Similarly, a pocket square or handkerchief will also add a ‘pop’ of contrasting colour by promoting the wedding colour scheme and will get picked up in the wedding photographs. Consider your other accessories when choosing a colour to ensure they don’t clash. If you’re opting for a waistcoat, make sure it complements the chosen suit. 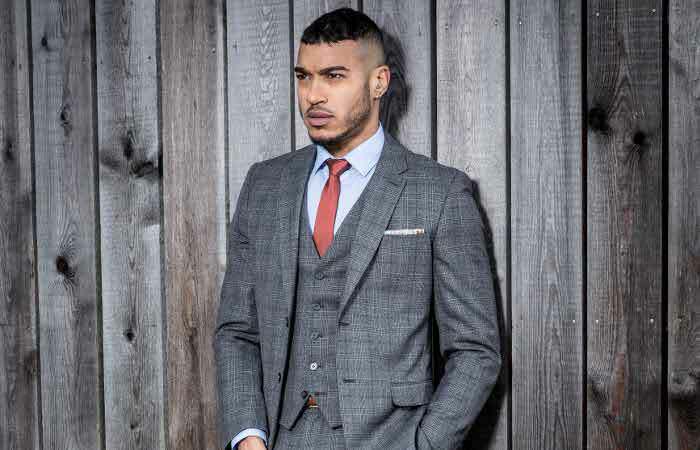 A waistcoat can both offset a contemporary style of suit, while complementing a more traditional variation. Adding a dose of English heritage, tweed waistcoats look particularly dapper when paired with contrasting materials and colours. Make use of metallic accents to offset your colour choices. 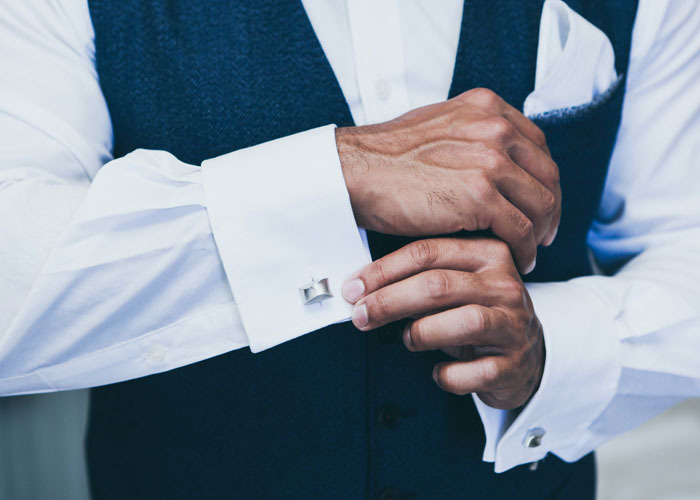 Collar tips or tie pins can look particularly suave, as can cufflinks which can also be engraved for the perfect touch of outfit personalisation. 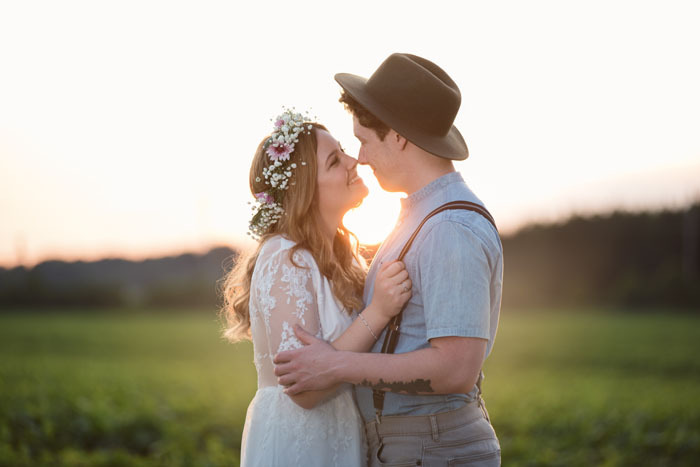 From top hats to flat caps, depending on the groom’s typical style a hat can add personality and inject fun into any outfit. Keep trousers securely fastened with a belt that matches your shoes or braces for a more retro finish. 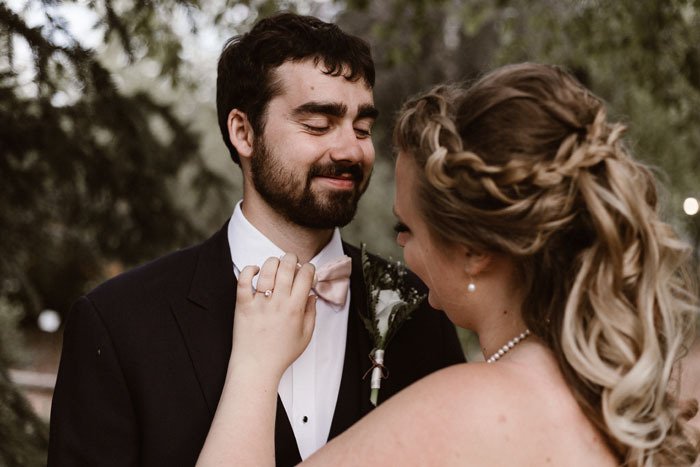 Traditionally, buttonholes feature a matching flower from the bride’s and/or bridesmaid’s bouquet, but more modern designs are turning the conventional options on their head. 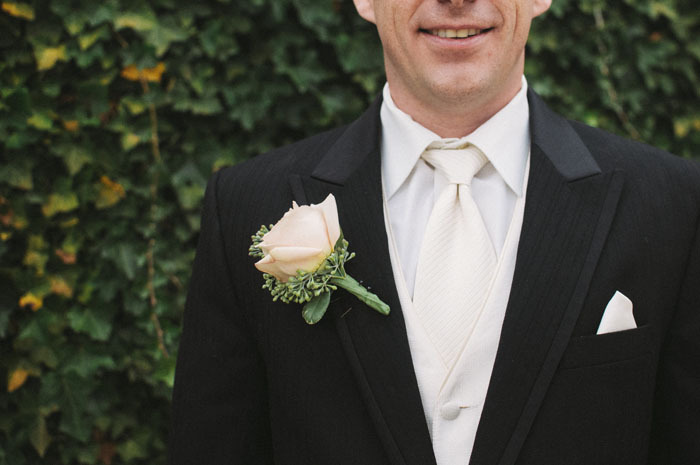 Take a look at Bride magazine’s quirky boutonniere designs here. The cummerbund began in India around 1850 as dining wear for British military personnel stationed there. Cummerbunds are meant to be worn with the pleats facing upward, worn at the natural waist and with a bowtie. 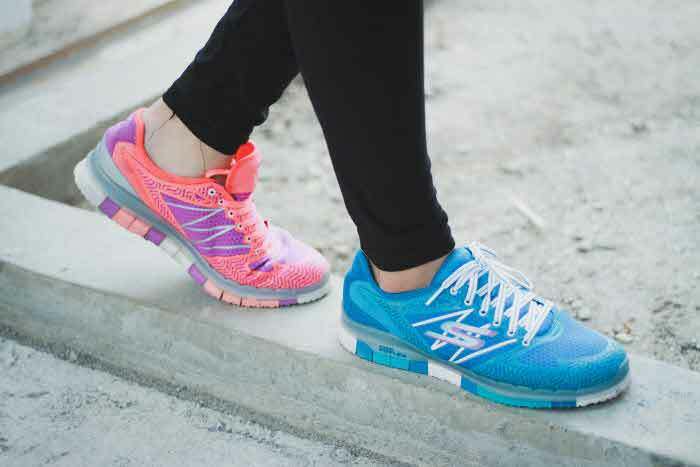 Depending on how many colours are in your attire, you will have to decide whether to opt for matching or contrasting shoes. Tan brown loafers look great when coupled with a navy suit, as do black brogues with a dove grey coloured trouser leg. Seek advice from your chosen tailor and use Pinterest to see what colour combinations work well. Also, think about the colour of your socks and ensure they cover your leg when you sit down; an exposed ankle is never appreciated. 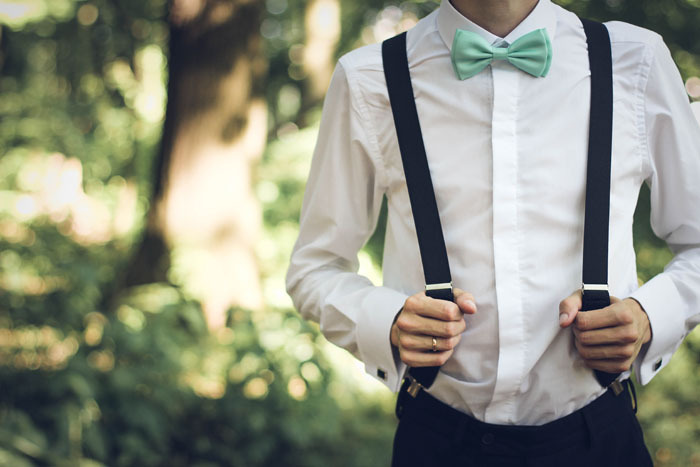 Quirky grooms may want to reflect a vintage theme in their choice of accessories such as a walking cane, monocle, formal gloves and/or spectacles – all elements which can capture the spirit of the ceremony and the character of the man of the moment. 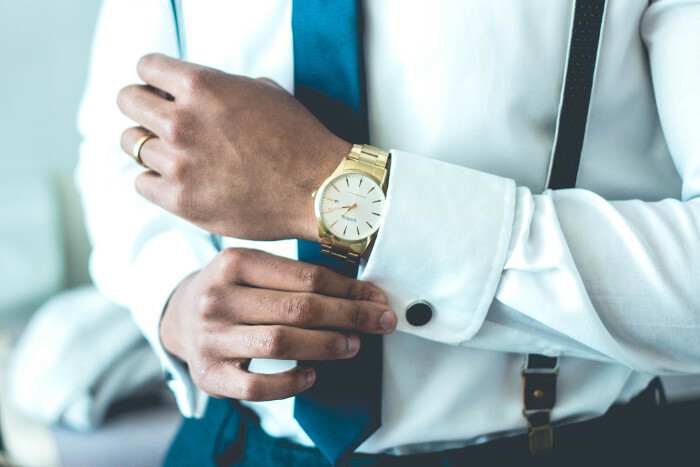 All grooms should carry a pocket watch in their breast pocket or wear a wristwatch to ensure they get to the church on time. 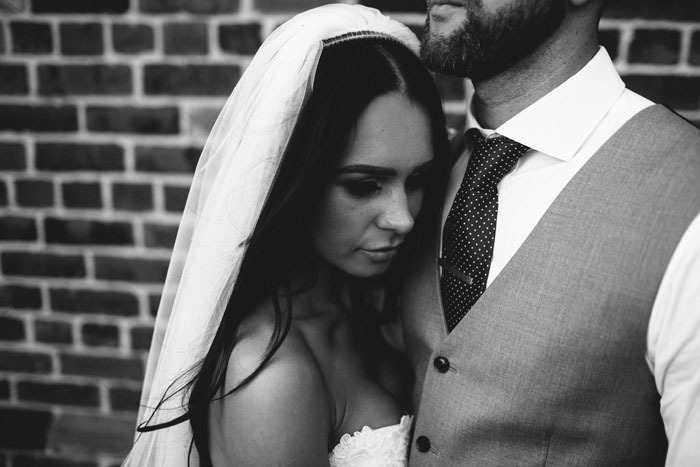 For more groomswear inspiration, take a look at Bride’s menswear section.